This chapter focuses on the link between free time and discourses of productivity, questioning the traditional distinction between work and free time. It examines the language and activities related to time management and the self-project. The concept, disciplined freedom is offered here as a conceptual tool with which to explore the contradictory nature of self-management practices that were seen as freedom to invest in the self, yet guided by ideals of hard work and self-discipline. The chapter also offers the term, conspicuous busyness to refer to the display of busyness as an integral part of self-presentation as a productive individual. 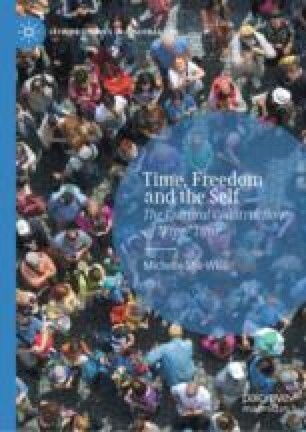 An earlier version of this chapter was published as an article entitled, “Disciplined Freedom: The Productive Self and Conspicuous Busyness in ‘Free’ Time,” in Time and Society, 2018. https://doi.org/10.1177/0961463X18769786. It is published by permission of the publisher, Sage Journals.